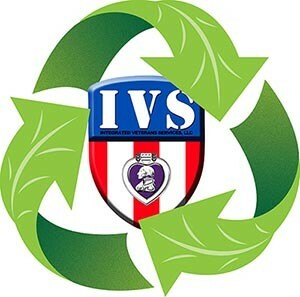 Integrated Veteran’s Services (IVS) joins GreenPrisons as a promoter of sustainable technology in corrections. IVS brings new technology to an old (and expensive) challenge in corrections; the cost effective elimination of food from the solid waste chain. The storage, compacting and hauling of food waste on a daily basis from institutions serving three meals a day to thousands of inmates daily can result in literally tons of food waste a day and thousands of dollars in monthly fees to haul it away. 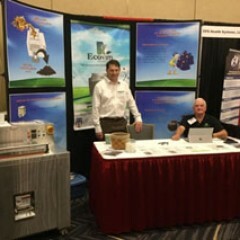 The ECOVIM dehydrator by IVS can eliminate 93% of the weight of food waste for pennies a day, by extracting all of the moisture contained in the food waste product. The result of this process is a small <7% of bio mass material and a few gallons of water. The bio mass can then be disposed of in the conventional manner or reincorporated into the soil enhancing the richness of garden and horticultural programs. For more information on the ECOVIM dehydrator contact Tom Gilardi at federal_sales@ivsgogreen.com or call him at 505-244-8778 ext 101. IVS is a Certified Service Disabled Veteran Owned Small Business. Easywater, an innovative technology for treating water, joins GreenPrisons as our fourth sponsor. EasyWater provides innovative water treatment solutions for prisons and other commercial facilities, such as eliminating new and existing lime scale deposits in domestic water systems without using salt. Click on this article's title to learn more about the Easywater system and to hear what some correctional practitioners have to say about the technology.